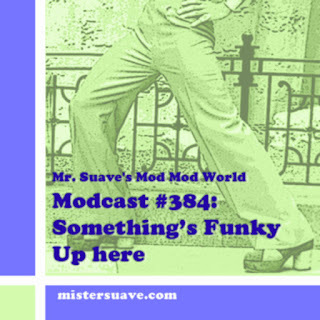 With the US, UK, Italy and Australia out of the World Cup now, there's no excuse for the countries that support Mr. Suave most to not be listening to this week's modcast. I've got almost as many new songs as Tim Howard had saves! From floor filling soul tracks to guitar driven power pop, this modcast can't be beat in regulation time. That's right this week's show is crammed full of new music from the likes Paul Weller, The Ace, The Blue Dawns, Fuzzy Vox, Paul Orwell, Smoove & Turrel and of course the ubiquitous more. I really enjoy this shows with a lots of new stuff. Very nice website Mr Suave - first visit. But point of pedantry: "The UK" is NOT out of the World Cup, because "The UK" were never in it, ever. Nick, you are correct sir! Touché.